The Queen has sent a warm message to a woman involved in a car crash with Prince Philip. Source: Getty (left) and Twitter/The Today Show (right). The Queen has made a rare personal intervention in the aftermath of her husband Prince Philip’s car crash, by reaching out to the victim in the other car to pass on her best wishes. Emma Fairweather broke her wrist in the collision, after it’s claimed the Duke of Edinburgh, 97, pulled out of a side road and hit the Kia she was travelling in along with a friend – who was driving the vehicle – and her nine-month-old baby. According to The Mirror, the Queen has since asked her most trusted lady-in-waiting, Mary Morrison, to reach out to Ms Fairweather. Morrison, 81, who has served the Queen since 1960, reportedly phoned the woman to pass on the monarch’s “warmest good wishes following the accident”. However, there was reportedly no separate message from Philip. Speaking to the news outlet, Ms Fairweather explained that she missed the call so Morrison left a voicemail where she explained that she was ringing from Sandringham House and added: “Her Majesty is very eager to know how you are and hope that everything is going as well as can be expected. The Queen ventured out to church without her husband after his crash. Source: Getty. 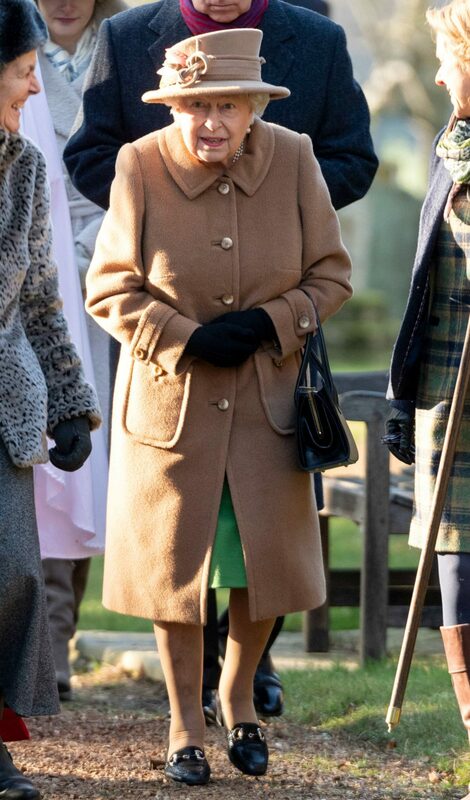 Following the message, the Queen was pictured on her first public outing since the crash as she appeared on her own at a church service on Sunday, close to her Sandringham estate. It comes after Ms Fairweather spoke out just hours ago to describe the “pain and upset” she suffered in the crash, revealing she had not received an apology from the Duke of Edinburgh. Philip was driving his custom Land Rover Freelander when he hit the Kia after pulling out of a junction. It was widely reported that he had complained to witnesses that he had been dazzled by the sun. Ms Fairweather told the newspaper at the time that she had received a phone call from police but had heard nothing from the royals or their household. However a palace spokesperson told the newspaper that “a full message of support” had been sent to both the driver and the passenger.